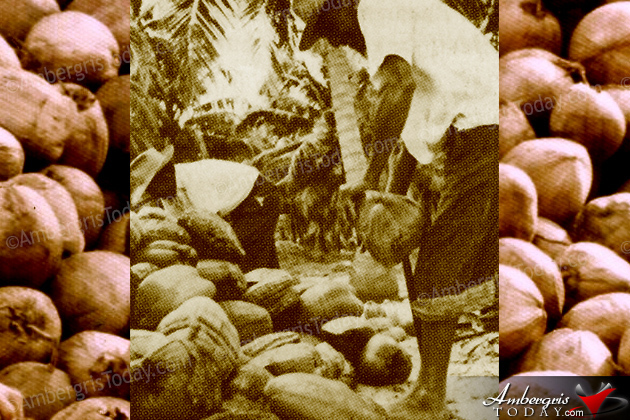 The job of collecting the coconuts was an arduous one. The harvesters worked their way from the far back end of the property towards the beach. They gathered the coconuts into large sacks known as crocus bags with a capacity of 25 coconuts each. They were carried on their backs or shoulders and piled up on the beach. Now on the beach the men proceeded to husk the coconuts. Husking meant removing the hard shelled nut from the outer shell. This part of the tedious was done with a simple tool, an iron bar that looked like a spear sunk into the ground. 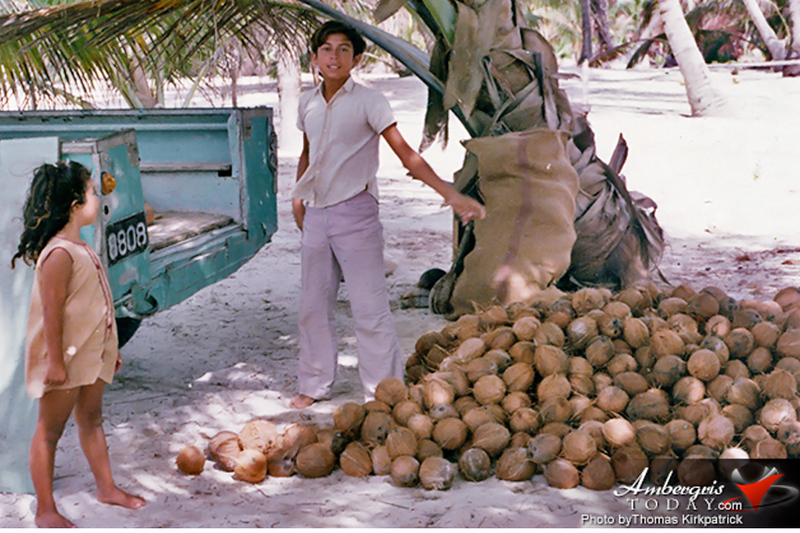 The job did not end here; the coconuts had to be placed into large dories and brought to the village to be delivered in the warehouse (bodega) of the owners of the cocales. This marked completion of this phase of the job. 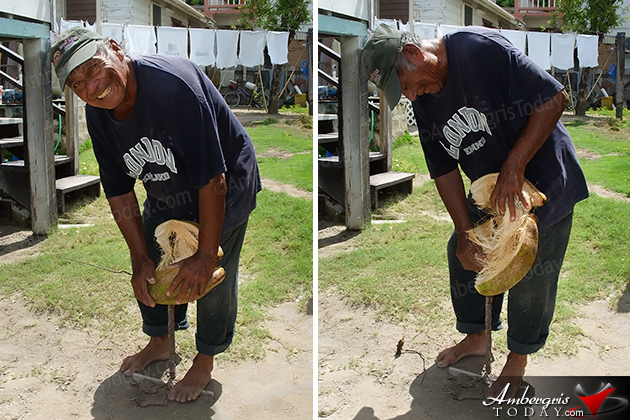 At this point the cocal coconut harvester could collect his day's pay. He was given .50 cents to collect, peel and deliver one thousand coconuts. No wonder there were some men that could peel up to 3,000 coconuts to be able to make a decent day's wage of one dollar and fifty cents. Yes $ 1.50. And what were the hardships met by the men in this job? There was the scorching sun, the windless days in the bush, the mosquitoes, snake bites, and the strain of backing thousands of coconuts. And what were the glorious moments of the job? Well they had jobs; the job was on the island. The pay was good. They worked from sunrise to sunset and could sleep at home at the end of the day. With the warehouses filled with tens of thousands of coconuts, there was one final process before exportation. 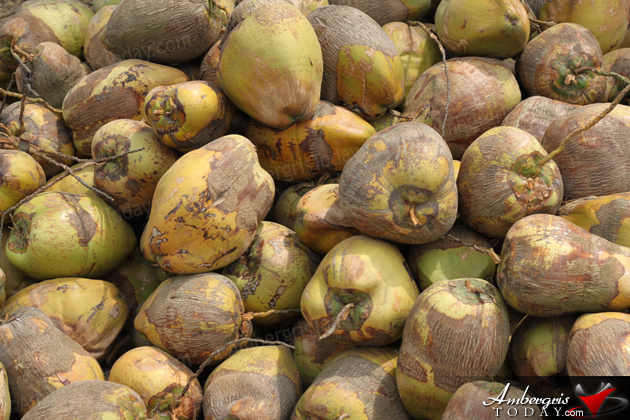 Coconuts were cut in half and placed on a huge bed called a barbecue and were heated so that the coconut meat would be easily extracted and dried for preservation. This was called "copra" and it was in this form that it was shipped to Belize City and from there to the export market. From 1910 onward the industry had a continuous rise and record setting moments. However in 1931 San Pedro and Ambergris Caye were devastated by a hurricane and the coconut plantations were almost almost flattened. With much resilience and audacity the owners and harvesters planted back and soon had the industry at a productive level once again. But once again the infamous Hurricane of 1942 which struck Belize on the tenth of September, a national holiday, almost leveled the coconut plantations once again. Sadly the industry never fully recovered this time around and gradually declined. 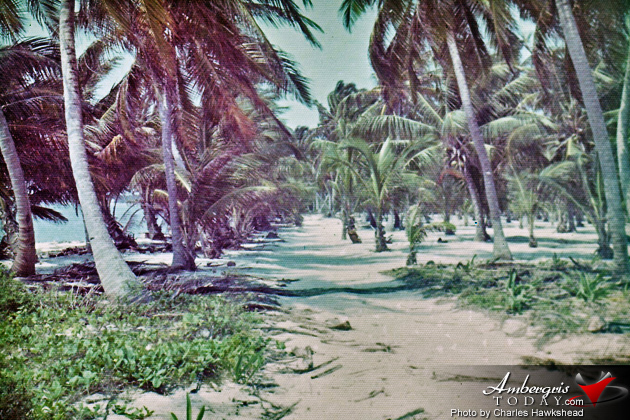 By the late 1950's we could still see coconut palms all along the coast but not the huge piles of coconuts that kept the San Pedranos happily and fruitfully employed for some 65 years. Today we only have the names of what were once famous coconut plantations- Tres Cocos, Mata Mata Chica, Habaneros, Tesora, Buena Vista, Esmeralda, La Ensenada, Punta Azul, Palmero, Robles, La Punta and Punta Piedra.